The last week of December is always a little quiet on the internet. Folks take time off to catch their breath after the holidays. Sites publish all sorts of "best of" lists for everything from movies to toys. 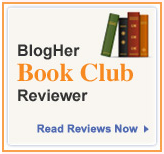 Bloggers look back over the year and sum up a year's worth of writing. Over at Stirrup Queens, Melissa Ford even puts together a "Creme de la Creme" list of infertility bloggers' favorite posts from the year (watch for it on January 1). I thought it could be fun to work together on a "best of" compilation for open adoption writing for 2011. 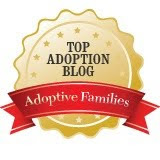 Put our minds together to collect our most powerful, intriguing, moving, thought-provoking, or just plain well-written pieces about open adoption from the year in one place. 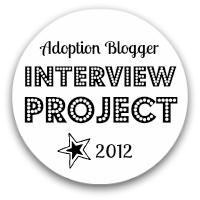 So, without further ado, I announce the (hopefully) first annual Best of Open Adoption Blogs list for 2011! This is a spread-the-love exercise. In order to submit one of your own posts from 2011 (don't be shy--every blogger has something worth submitting), you need to also nominate a post written by someone else. Most of us are here online because we've been affected by others' writing. This is a chance to pat another writer on the back and tell them how much we appreciate them sharing their lives and thoughts with us. If you don't blog yourself, that's fine. You can still submit something written by someone else. Use the online form to make your submissions. The list will go up in two weeks, on January 10. I'll continue to add submissions through January 31; in order to have your items included on January 10, be sure to submit them by January 7. How do I submit items? Just fill out the submission form. Feel free to contact me with any questions. The list will go live on January 10. Anything submitted by January 7 will be included when the list is published on January 10. The form will stay open through January 31 and I'll add items as they come in. So, in short: January 7 is the initial deadline, January 31 is the final deadline. How many pieces can I submit? Just one written by you and one written by someone else from 2011. I know it's hard to pick just one piece out of the entire year, but give it your best shot. What this year moved you, got you thinking, or simply floored you with lovely writing? I don't have a blog or I don't want to submit one of my own posts. Can I still nominate someone else's writing? Of course! Just enter "N/A" on the form wherever it asks for information about your blog. Can I submit one of my own posts without nominating someone else? Sorry, no. We're celebrating our own excellent writing and spreading the love to others. This is an opportunity to point others to writers they may not have discovered yet. I'd like to nominate an essay about open adoption that I read on the New York Times website. Is that okay? Sure! It can be any sort of online writing: something written for a magazine, newspaper, commercial website, or someone's personal blog. It just needs to be (a) available to link to in full online, (b) about open adoption in some way, and (c) originally published between January 1 and December 31, 2011. Is the list judged or will everyone be included? This is a come one, come all affair--the more the merrier. No voting or panel of judges. I reserve the right to not include an item if I suspect someone isn't honoring the spirit of the project, but I really doubt I'll need to do that. So look back through those archives for the year and pick out your favorite posts--one written by you and one written by someone else. No matter how big or small the list turns out to be this year, I'm excited to see what wonderful-ness is on it. You come up with the best ideas! I can't wait to see the list!